BATTLE FOR WORLD / RT AMERICA | March 22, 2019: The video highlights Chris Hedges, author and host of RT America’s “On Contact” joins Rick Sanchez to discuss the skyrocketing problem of suicide in the U.S. and self-destructive behavior and why we should only expect it to get worse. 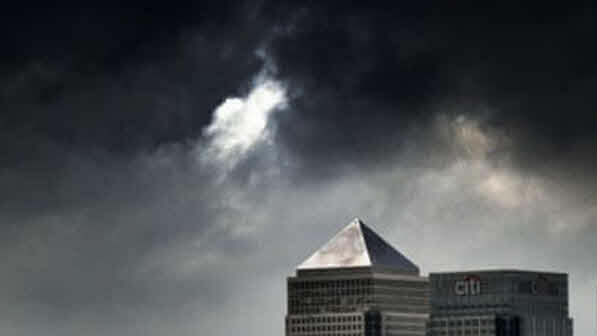 What will crash the US economy? 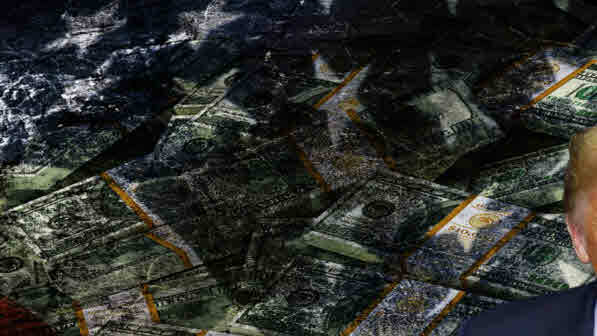 BATTLE FOR WORLD / RT | March 16, 2019: The video highlights that the private corporate debt in the US stands at $9 trillion dollars. In this segment economist and co-founder of “Democracy at Work” Prof. Richard Wolff joins Rick Sanchez to discuss the dangers of such an astronomical sum to the US debt in the event of a deep recession. BATTLE FOR WORLD / NYPOST | March 11, 2019: The article highlights that New York City is careening closer to all-out financial bankruptcy for the first time since Mayor Abraham Beame ran the city more than 40 years ago, experts say. The long-term debt is now more than $81,100 per household, and Mayor Bill de Blasio is moving ahead to spend as much as $3 billion more in the new budget than the now current $89.2 billion. “The city is running a deficit and could be in a real difficult spot if we had a recession, or a further flight of individuals because of tax reform,” warns Milton Ezrati, chief economist of Vested. 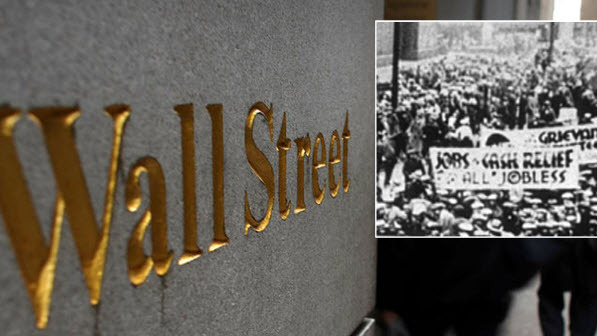 Global financial system is critically broken, and the Ruling Elites are very aware! 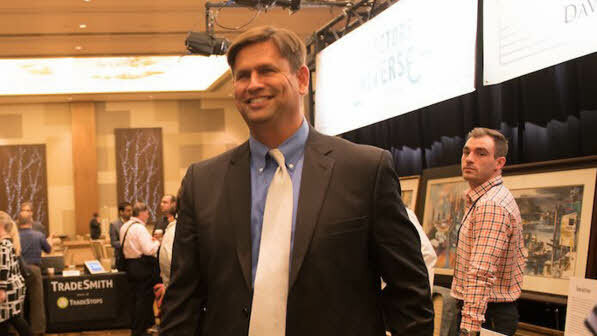 BATTLE FOR WORLD / GREG HUNTER | March 10, 2019: The video highlights Macroeconomic analyst Rob Kirby being interviewed by Greg Hunter. The people in control of the U.S. dollar are very aware that this is coming too. Greg Hunter: …Your sources around the world, would you say they are freaking out right now? Are they signaling the same things you are…that things are going to shakeout soon? Rob Kirby: They don’t freak-out about anything. They just develop a more steely resolve. The people that I work with, the people that I know, they are very aware of what is going on, on the ground and they have been forecasting and believing – the program that I have just outlined, they are liked minded. They’ve been of the belief, for a very long time, that this is an eventuality and would come to fruition. It’s just that it has taken a lot longer then other people believed it could ever take…for the pieces to snap into place, for it to actually occur. And believe me, the revelation of Dr Mark Skidmore, and Catherine Fitts regarding the missing 21 trillion, this is going to be a big major piece of the puzzle that has been clicked into place, that will allow and will precipitate much of what’s coming in the near future. BATTLE FOR WORLD / RT AMERICA | February 14, 2019: The video highlights that a record 7 million Americans have stopped making car loan payments. RT’s Rick Sanchez reports on the continuing plight of American working people, who have by and large been left behind by Wall Street’s recovery from the brutal 2007-2008 financial crisis. And economists are warning that the next recession to impact the U.S. may be even more disastrous. What will happen to these people if the next one hits many are asking? Economist and co-founder of Democracy at Work Prof. Richard Wolff gives his opinions. He discusses the “very, very painful” circumstances of those facing unemployment, dwindling savings, and the deteriorating quality of life for American workers. BATTLE FOR WORLD / DAILY BEAST – December 14, 2018: The article highlights that President Donald Trump thinks the balancing of the nation’s books is going to, ultimately, be a future president’s problem. 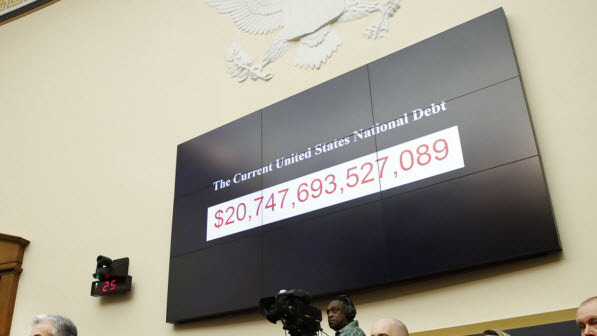 And sources close to the president say he has repeatedly shrugged it off, implying that he doesn’t have to worry about the money owed to America’s creditors—currently about $21 trillion—because he won’t be around to shoulder the blame when it becomes even more untenable. (BattleForWorld: Reader, if you have not read the posting The Fall Of America Will Happen, please do. It was written in early 2017 and hints at some of the economic problems to come for America, and in a later posting: the Future Forecast For America, where a chronicle of events were given. Lipton also warned that sustained trade conflict between the US and China would be likely to trigger “far-reaching and long-lasting consequences” for the global economy, with a risk that Trump’s rhetoric could encourage China to shift its economy away from the rest of the world. BATTLE FOR WORLD / CNBC – December 11, 2018: The article highlights that former Federal Reserve Chair Janet Yellen told a New York audience she fears there could be another financial crisis because banking regulators have seen reductions in their authority to address panics and because of the current push to deregulate. And in the next recession, Europe could infect the United States. BATTLE FOR WORLD / REUTERS – December 11, 2018: The article highlights a worrying sign of inversion in the U.S. Treasury bond curve is dulling the appeal of the developed world’s highest-yielding bond market for foreign investors. 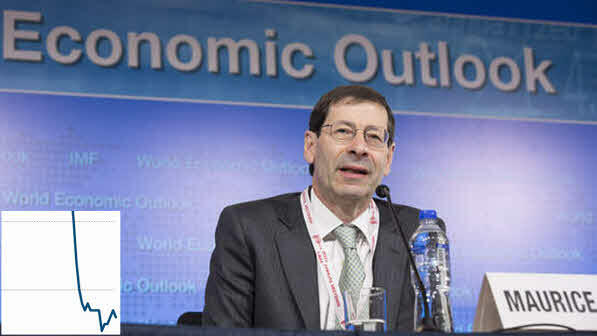 BATTLE FOR WORLD / MARKETWATCH – December 10, 2018: The article highlights that Maurice Obstfeld, the retiring chief economist of the International Monetary Fund, is on his way out and has warned that global growth is slowing and that the U.S. will likely feel the drag as well. “For the rest of the world there seems to be some air coming out of the balloon and that, I think, will come back and also affect the U.S.,” he said. AP / BATTLE FOR WORLD – November 19, 2018: The article highlights that the recent turbulence in the U.S. stock markets is spooking some older workers and retirees, a reminder that this group was hit particularly hard during the most recent financial crisis. Indeed, haunting memories of another recession continues to take a financial and psychological toll on many of those who were affected. BATTLE FOR WORLD / RT AMERICA – December 22, 2018: The video highlights that the economy is in a state of meltdown. And the stock market rollercoaster behavior is signaling a major economic downturn that will be unveiled to the public in a panic fashion. And this is going to affect the US military industrial complex, etc. In the video Larry and former Rep. Ron Paul (R-TX) discuss Paul’s warning of an impending market meltdown, and his take on removing U.S. troops from Syria. Then, Larry and the political panel take on Facebook’s privacy policies. CNBC / BATTLE FOR WORLD – November 19, 2018: The article highlights that Goldman predicts 2.5 percent and 2.2 percent growth in the first two quarters of 2019, respectively, but then just 1.8 percent and 1.6 percent real GDP growth in the final two quarters. And that “We expect tighter financial conditions and a fading fiscal stimulus to be the key drivers of the deceleration,” wrote the bank’s chief economist, Jan Hatzius. But Goldman believes the U.S. will skirt a recession next year. INVESTING OUTLOOK / BATTLE FOR WORLD – November 20, 2018: The article highlights that something strange is going on in the financial system. And according to The Financial Times, it’s about to send a massive flood of cash into the pockets of the most prepared Americans. According to former hedge fund manager, Dr. Steve Sjuggerud — one of the most widely-followed financial analysts in the world. Today, he shuns the spotlight and lives on a remote island off the Florida coast where he has built a new life… and a substantial fortune… by sharing a series of eerie predictions. Many of which have proven correct. But his latest prediction has caught many Americans completely off-guard. Where he said, over the next year (2019) or two (2020), there’s going to be a panic — but not the kind of panic most people expect. In fact, it’s already begun. MARKET WATCH / BATTLE FOR WORLD – November 20, 2018: The article highlights that ‘From a markets perspective, it’s going to be interesting. 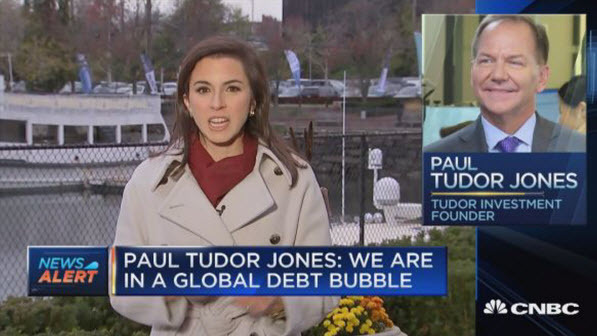 There probably will be some really scary moments in corporate credit,’ said Paul Tudor Jones, a hedge-fund luminary. He’s stress-testing his portfolio of corporate debt because he expects a tumultuous road ahead on the back of the Federal Reserve’s apparent commitment to normalizing interest rates and buttressed by corporate tax cuts from the Trump administration. Speaking at an economic forum in Greenwich, Conn., a stronghold for hedge funds, Jones commented that the Fed faces real challenges amid “the end of a 10-year run” of economic growth that many anticipate will soon come to a screeching, cyclical end. SPUTNIK NEWS / BATTLE FOR WORLD – November 20, 2018: The article highlights that economic experts from major international financials, academic circles, and government agencies say the US is facing mounting risks of a recession due to elevated uncertainty in international trade, a possible slowdown in domestic investment, and rising costs of doing business. 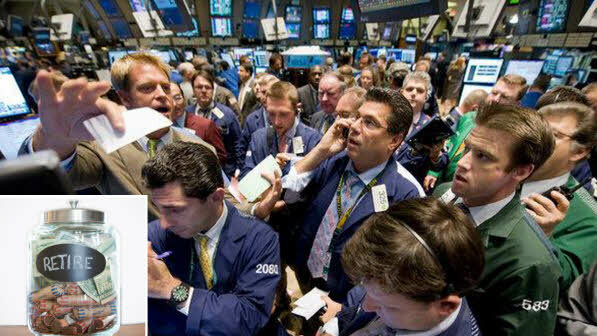 Kristian Rouz — Several new reports from economists and investment bankers suggest the US economy might be headed for a slowdown next year (2019), while the chances of a full-blown recession will rise to 50 per cent in the year 2020. Experts believe international trade woes, and gains in domestic inflation could weigh on the pace of US economic expansion. YAHOO / BATTLE FOR WORLD – November 14, 2018: The article highlights that the U.S.’ debt is skyrocketing and soon the country will spend more on servicing its debt than it will on national defense – and shortly after will spend more on its debt than on all nondefense discretionary programs combined. And that while America’s debt has skyrocketed, low inflation and international demand for Treasury bonds has held down interest costs, but with the U.S. Federal Reserve hiking interest rates that is expected to change. As the Fed is hiking interest rates as inflation has percolated higher – higher interest rates will translate into higher debt payments. The Wall Street Journal reported citing data from the Congressional Budget Office (CBO), that the U.S. will spend more on interest than it spends on Medicaid in 2020, and in 2023 interest spending will exceed national defense spending, and by 2025 it will spend more on interest than on all nondefense discretionary programs combined. Wow!